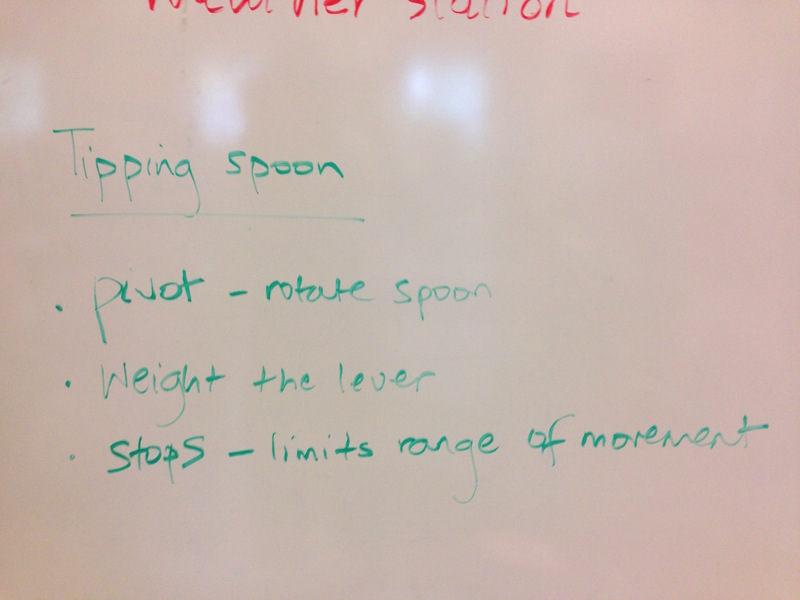 Rain gauges in weather stations use a tipping bucket (or tipping spoon) mechanism. 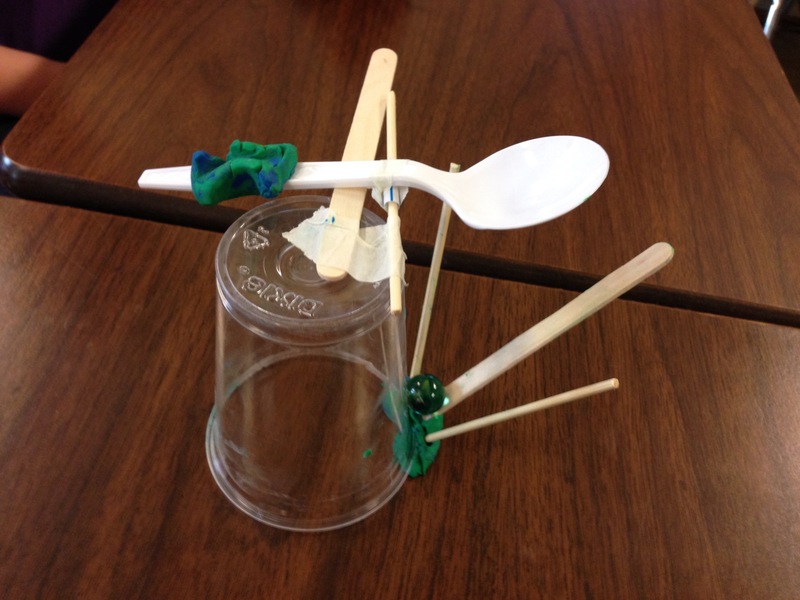 Challenge students to make their own tipping bucket for a marble. Your classic rain gauge that you might have made from a water bottle is very simple, but fills up. A tipping bucket rain gauge uses electronics to count the number of times a bucket fills and empties, so can be left to run for long periods. A funnel above the tipping bucket directs rainfall into it. The volume of water in the bucket is known, so if you can count the number of times it tips, you can calculate the amount of water. 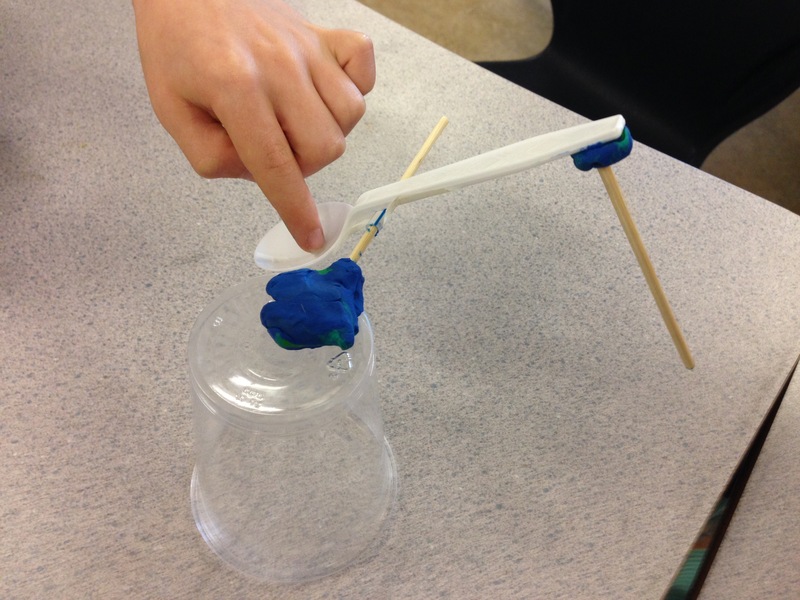 Students design their own tipping bucket mechanism with household materials, and use a marble dropped into the bucket to make it work. 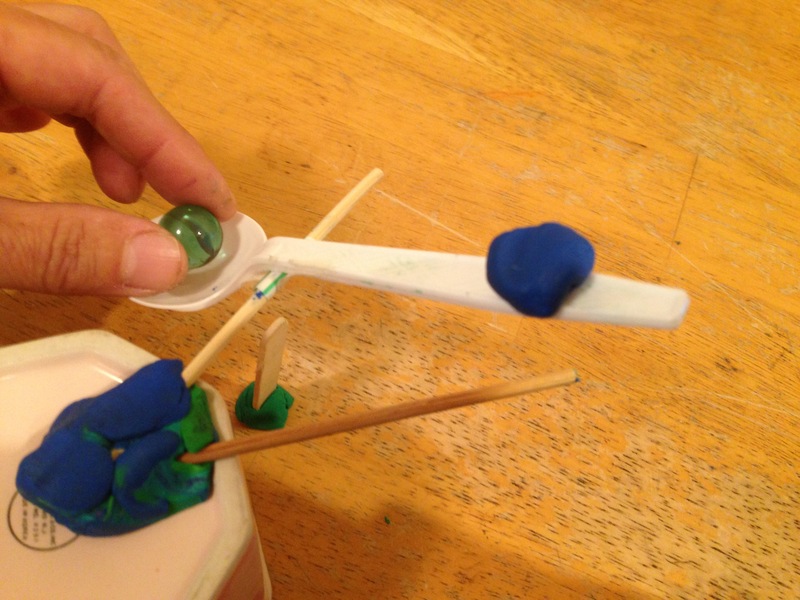 Start like this: insert skewer in straw piece, tape onto spoon at the balance point, making sure it can rotate freely. Secure to cup with clay. It’s like a see saw. We have the rotation part. 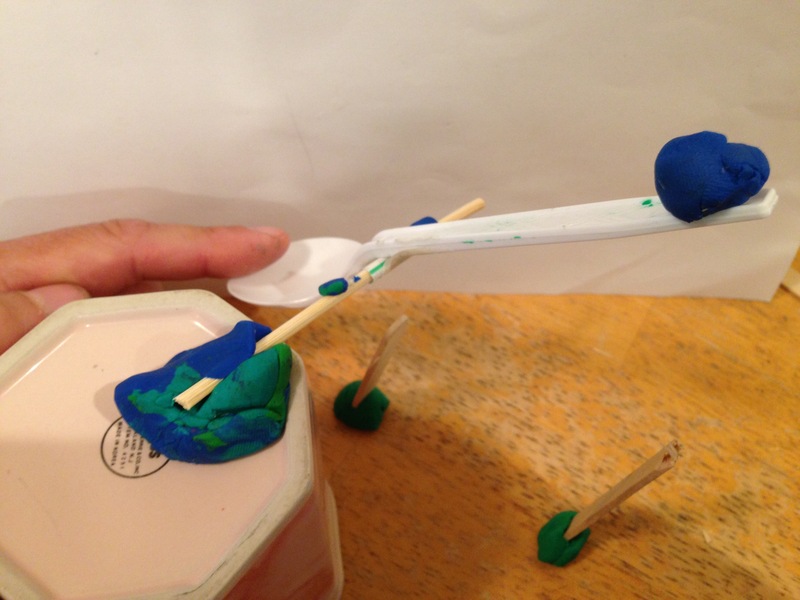 This pivot is one design element of a tipping bucket. What other design elements will it need? Write up any that they come up with e.g. weight, stop - but do not add more than they can think of as they will discover more as they work. 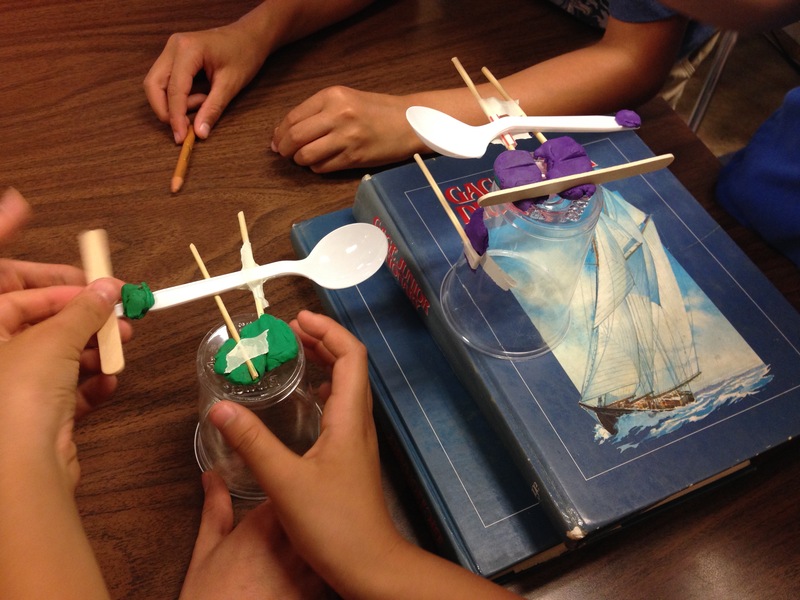 Students can break the materials apart if they need, and take more of anything. 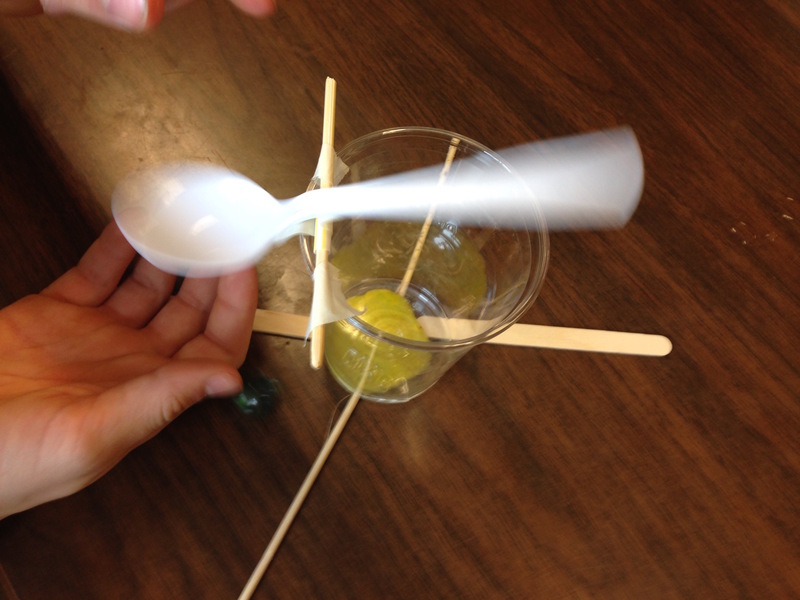 Once the students have made their designs, ask what other design elements are needed. pivot, weighted lever, stops to limit movement. The tipping bucket rain gauge in a weather station is finely weighted, balanced and housed so that it works as your models do. 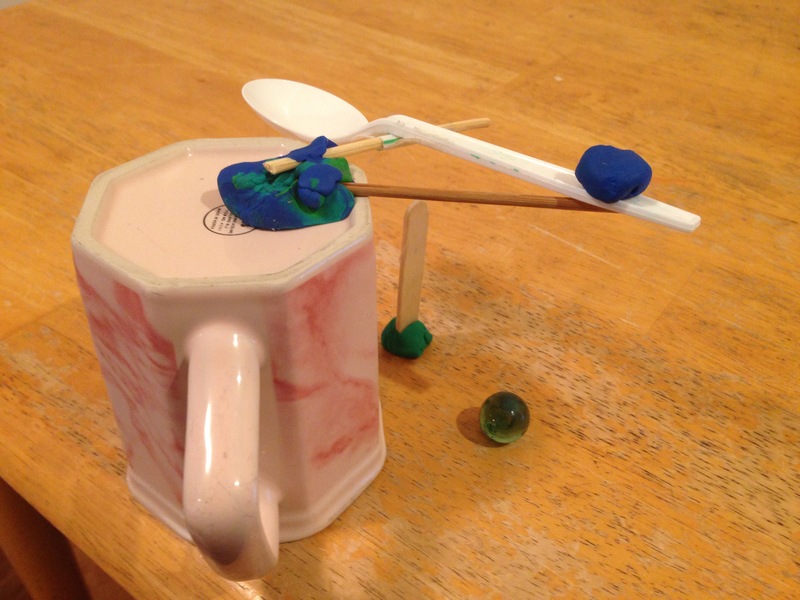 It uses a magnet to hold the bucket until it is heavy enough to tip. A circuit detects when the bucket tips, and counts the number of times, to calculate total rainfall over time.